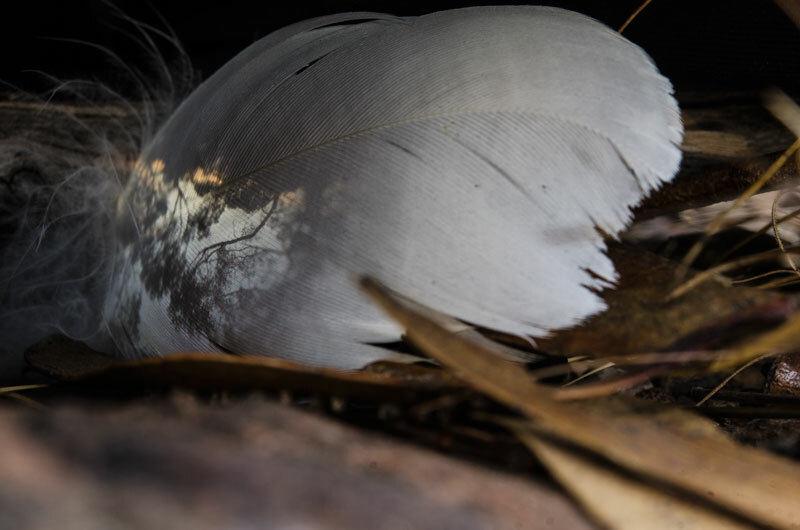 Featherlight is from a new series I will show during the upcoming (this Friday) Castlemaine State Festival 15-24 March 2013. These renew my childhood delight and fascination with the projected image. 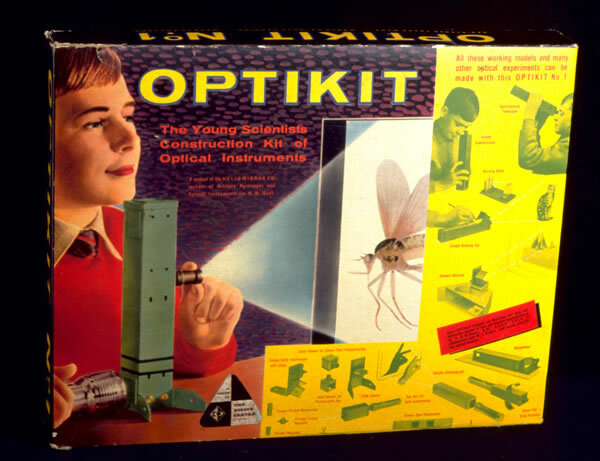 For me back then, a magnifying glass was a wonder; its simple optics twisted light into abstract comas and sci-fi aberrations; able to compact a whole view into a luminous, paradoxical phantom that could fit literally into the palm of my hand. By curling fingers and thumb around the lens and cupping both hands around the elusive rays, and by peering into the space in which I had trapped them, I fancied that I had entered into the secret workings of the eye. 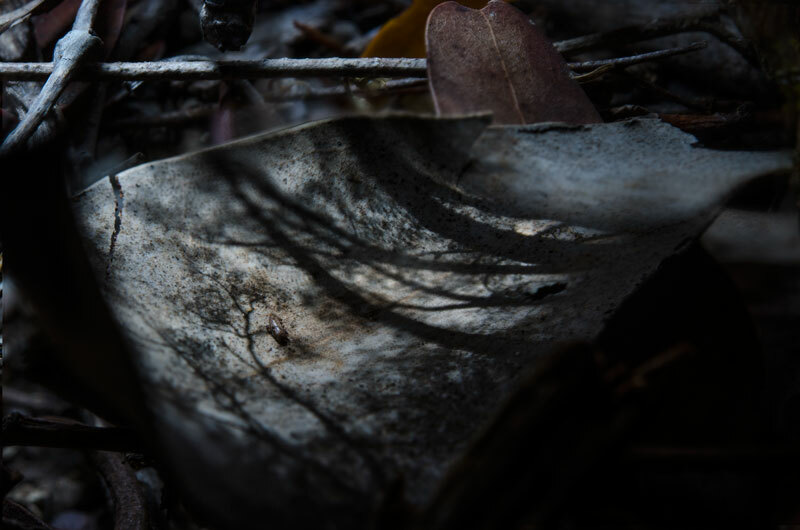 Chrysalis appears as a scenic projection from a hand-held camera lens and simultaneously as the litter of the forest floor. It is produced with a makeshift camera-obscura. The nebulous silhouettes of trees, some blurred under the passing clouds of a summer wind resolve here and there into lines curled across the surface of a fallen leaf on which a moth chrysalis adheres. The leaf assumes Brobdingnagian proportions and thickness as the evanescent image shrinks and is foreshortened in the enlarged dust and grit. It manifests the unique sight anchored at this particular point in a fixed vegetable and mineral world. Near and far, large and small, superimpose, trigonometrically exact in their adjacency and spatial relations. That there is a coincidence between my images and Abelardo Morell’s I would not deny, given my immense admiration for this ‘practitioner of vision’ . That is Nicolas Wade’s name for artists who share an interest in the bases and essences of the photographic, and in particular the lensed, image. Who among these could miss his extraordinary Camera Obscura series on which he has worked since 1991 and his many experiments with the photogram? Morell and his assistant recently devised the Tent Camera as a means by which to move out of the rooms of the earlier series, and into the open. 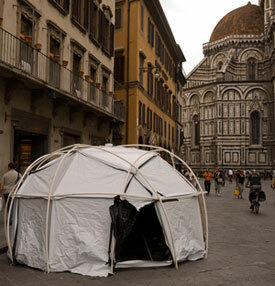 Its periscope optics can ‘project views of the surrounding landscape onto the surface of the ground inside the tent’. Inside, he is able to ‘photograph the sandwich of these two [adjacent] outdoor realities meeting on the ground’. I’ve been thinking along the same lines, but I want to understand more intimately the relation of the surface of a particular natural landscape to the whole, rather than in the ‘scene’ of human presence, or any cultural landmark. In the steep, trackless locations in which I am making these images, my means are necessarily more makeshift; my camera and lens able to be carried in a backpack. The resultant project is not systematic but intuitive and responsive to prevailing conditions and the effect on the projection caused by sun, shade, weather and situation. I am guided by the response of objects, textures and surfaces to the projected image and how they modulate and map it. Where they are, they reveal their micro and macro relationships to what is visible around them as they superimpose and magnify the reciprocals of a synaesthetic, haptic proprioception.